Enjoy the Benefits of a Large Home on a Large lot on a Quiet Cul De Sac Street. This Stunning Home Features 4 Bedrooms and a small office; a Swimming Pool, Spectacular Sunset View and RV Access. The Gourmet Kitchen has lots of counter space and is next to a Formal Dining Room. The Living Room Features a Fireplace and Vaulted Ceilings. The Family Room is Spacious and there is a Full Bath on the Main floor and an Inside Laundry Room. The 2nd Story features a Large Master Bedroom with Beautiful Sunset Views, A Private Bath Area and an additional walk in closet off the Bath. The 2 Secondary Bedrooms have ample room and are light and bright. The 4th Bedroom could be a Bonus Room; It has a Walk In Closet and is very Spacious. There is also an office or craft area upstairs and a Full Bath for the Secondary Bedrooms. This home is located in the heart of Mission Viejo and is walking distance to Lake Mission Viejo and Aurora Park. This Charming Home also Features a Low Tax Rate, Low HOA and NO Mello Roos Taxes. Enjoy all the benefits of Living in one of the Premier Cities in Orange County. 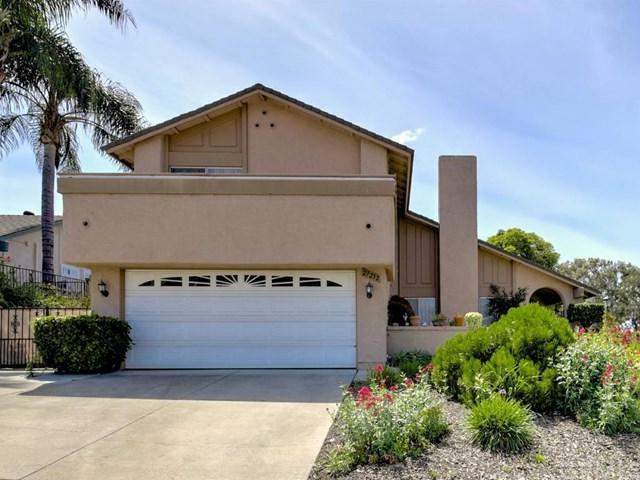 Based on information from California Regional Multiple Listing Service, Inc. as of 2019-04-22T20:35:51.247. This information is for your personal, non-commercial use and may not be used for any purpose other than to identify prospective properties you may be interested in purchasing. Display of MLS data is deemed reliable but is not guaranteed accurate by the MLS. Licensed in the State of California, USA.